The mash is comprised of 70% corn, 26% rye, and 4% malted barley. 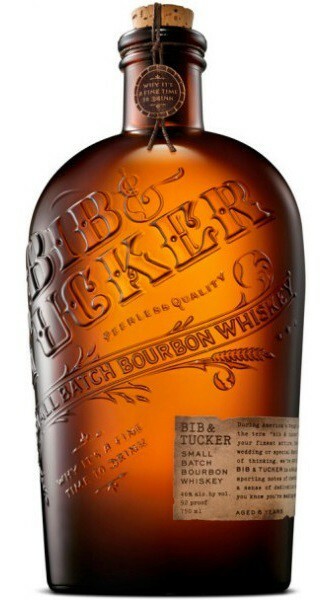 ‘Bib & Tucker’ is a delightfully smooth bourbon sporting notes of chestnut, and it’s crafted with a sense of dedication that can only come when you know you’re making something truly special. During America’s rough and tumble early days, the term ‘Bib & Tucker’ was used to describe your finest attire, the kind you’d wear to a wedding or special dance. Along those same lines of thinking, Bib & Tucker is putting its best foot forward. The mash is chill filtered in the style of Tennessee bourbon and aged in No. 1 charred American white oak barrels for at least six years the real distinction comes in the aging process and the expertise in blending.